Shortcodes are a popular feature included in many plugins and themes. However, if you’ve never built your own shortcodes before, you may have no idea how to add them to your own WordPress projects. Thankfully, WordPress’ Shortcode API makes it fairly simple to create your own shortcodes. Doing this will enable users to take advantage of your plugin or theme’s features from any text-based area on their WordPress site. Including shortcodes in your projects is an easy way to build on the functionality you’ve already created, so you get the most bang for your buck. In this article, we’ll talk a bit more about how shortcodes work. Then, we’ll show you how simple it can be to program your own in three steps. Let’s get started! 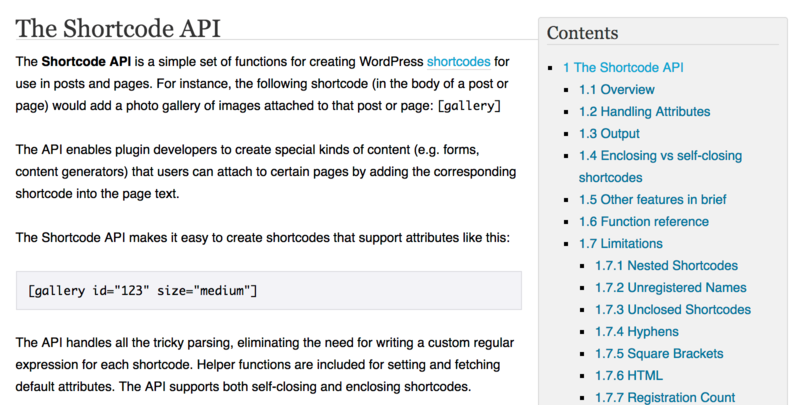 The WordPress Shortcode API is a handy tool for developers. Shortcodes look like small pieces of text within square brackets, like this: [example]. Each one represents a unique execution of predefined code, which is triggered on demand. You can use them almost anywhere text can be added in WordPress. While most shortcodes are added by themes and plugins, WordPress’ core does have a few default shortcodes you can use. Some examples of these are audio, gallery, and caption. Fortunately, the Shortcode API makes it relatively simple to create custom shortcodes for your own WordPress projects. This is often a smart idea because it makes your users’ lives easier by enabling them to use complex functionality with just a few keystrokes. Now that you understand how shortcodes work, let’s learn how to add one to your own theme or plugin! Of course, what your shortcode does will be up to you. In this example, we’ll use a simple “Hello world!” function to get you started. If we were to use this function normally, it would return Hello world! as a string that could be output to HTML. This function can also take custom parameters. For example, if you want someone to be able to make it say Hello Bob! instead, you might add a name parameter. These parameters are called attributes, and they are all handled using a single array predefined as $atts by WordPress. [helloworld] // Outputs "Hello world!" [helloworld name="Bob"] // Outputs "Hello Bob!" Once you’re finished, this can be used throughout any text-based areas on a WordPress site where the plugin or theme that contains this shortcode is installed. Once your shortcode is ready, you can create a new file within your custom theme or plugin to save the function. A descriptive name will help you find this file later on (for example: shortcode-function-hello-world.php). Now, it’s time to tell the rest of your project about this new file. If you’re working with a theme, you’ll want to include it in the functions.php file. If you’re building a plugin, you can include it in any file already loaded into the project. At this point, your function is now available for use! All that’s left is to actively register the shortcode within WordPress. The first value will go within square brackets in the text editor. The second will match the function name you wrote in the previous two steps. Both should be unique enough so they don’t interfere with other shortcodes included by WordPress core, themes, or plugins. That’s all there is to it! Your shortcode can be as complicated or simple as you want – what you decide to build using this power is up to you! For advanced situations where you’d like to tweak the output for different situations, it might be worth writing a unique PHP class to handle your new shortcode. 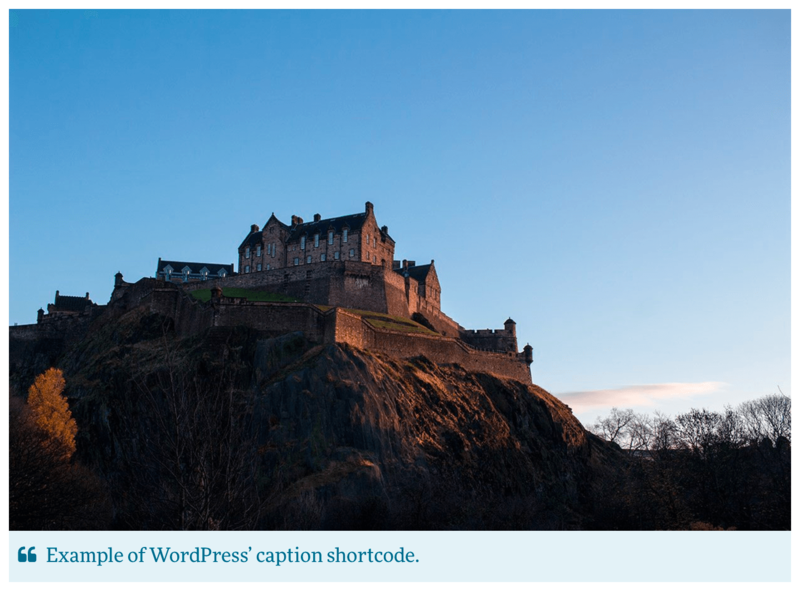 Adding complex functionality to WordPress posts and pages is easy with shortcodes. They are simple to program and add value to your existing project by making straightforward content dynamic. Write a regular function that executes the desired custom code. Save the code to your WordPress plugin or theme. Register the shortcode within WordPress. What questions do you have about using the Shortcode API? Let us know in the comments section below! Image Credits: Anne Dorko, Lee Campbell.